Feeling the cold? 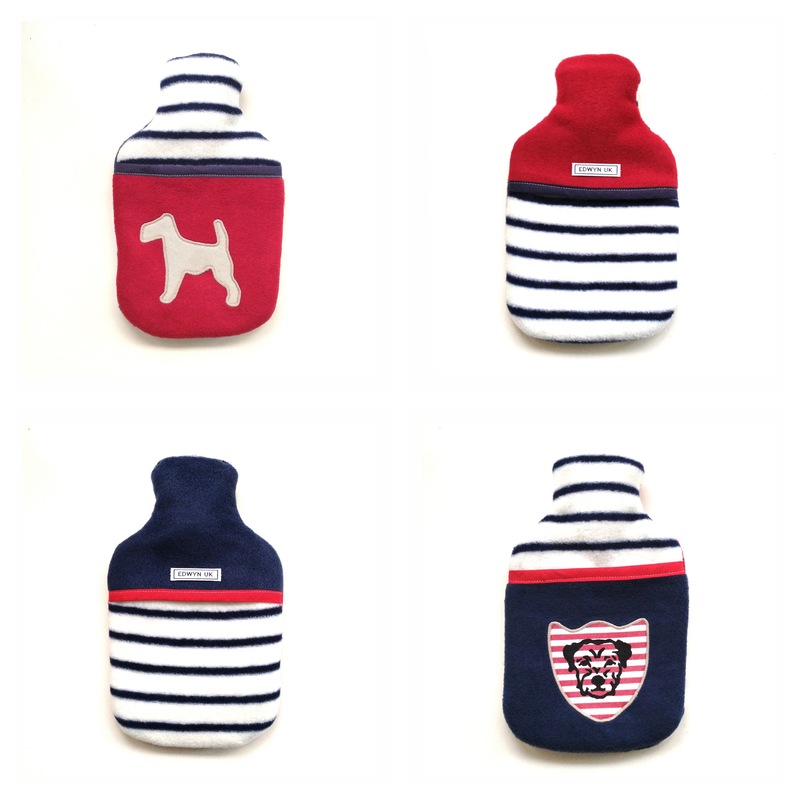 Arctic winds are howling through East london, and some parts of the country are once more covered in snow so we thought it our duty to get our new handwarmer hot water bottles into the shop. They are made from wonderfully cosy fleece and have a front pocket, very useful for warming up cold keyboard hands I find! Or for that added bit of warmth cosied up on the sofa, if like us you don’t have the luxury of an open fire. 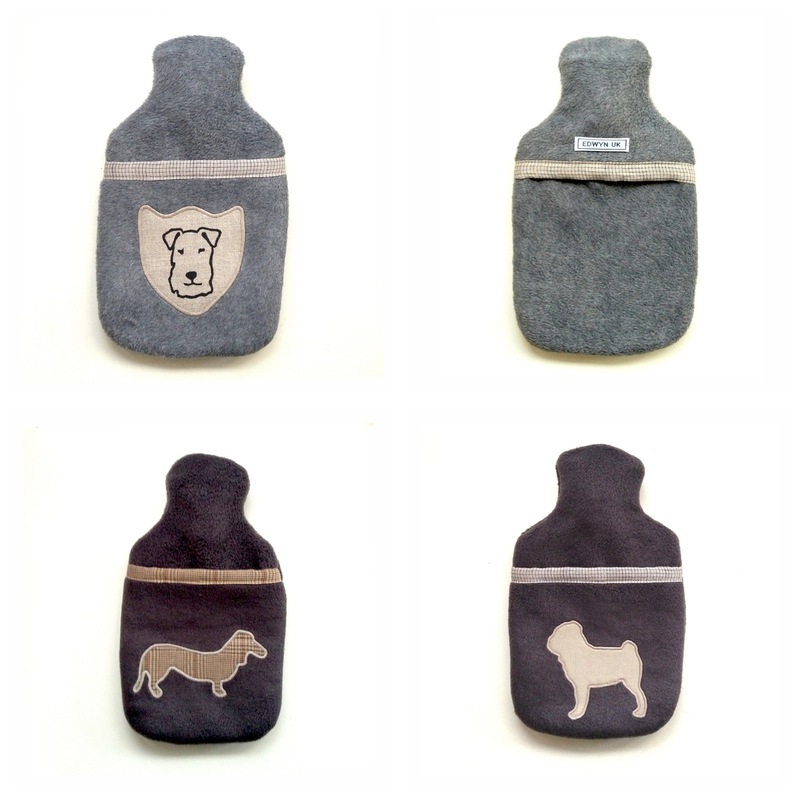 Some also like to use hot water bottles for puppies and elderly dogs, especially those in draughty corners, wrapped in a blanket these would be ideal for non-chewers! But I suspect you will want to keep it for yourself. I’ll certainly be taking mine to Spitalfields with me on Friday, along with a selection for sale on my stall. Now I wonder where I can beg some hot water from……..
Hand Warmer Hotties available in my EdwynUK Etsy shop.